Milestone Financial and Kepler Group have joined to form one of New Zealand’s largest non-aligned investment advisory groups. Trading under the existing Milestone Financial brand, the joint venture will have offices in Auckland, Whanganui, Wellington, Christchurch, Timaru, Dunedin and Queenstown, providing client advice for over $1.4 billion of investment funds and $6 million of insurance annual premium. Richard Holden, board member for the restructured entity and principal of Milestone Financial in Canterbury, said that with the impending implementation of the Financial Services Legislation Amendment Bill (FSLAB) and changes to the Financial Advisers Act, firms now need both size and depth to accommodate the changes. Milestone Financial is already developing a central servicing facility which will enable advisers to tap into compliance services, governance, marketing, technology and much more. The scale of the entity will also allow for adviser career progression, succession opportunities and the purchase of businesses from those advisers wishing to retire. 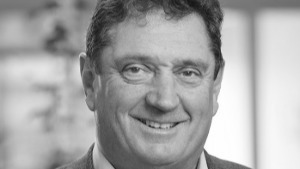 Fellow board member Ricky Bennett and principal of Milestone Financial in Queenstown said that the JV concept differs from the corporatisation model in that it is a collaborative or co-operative approach, which allows individual practices to benefit from the scale of the corporate but not be culturally swamped by it. “We’re bigger and stronger, but we haven’t lost the personal, individual, touch. “We recognise that advisers know clients and their preferences better than a board of directors and this new JV recognises and supports the unique value offered to clients by non-aligned, autonomous, advisers spread throughout New Zealand,” he said. Holden said that the restructure will be good for both clients and advisers and will herald new options for advisers who may want to join a Financial Advice Provider (FAP) and not be constrained by the straight jacket approach of a large corporate. “This is also a natural lead into the new legislative era where skill sets are pooled and used to put client interests first. This provides the ability to service all client demographics from high net worth clients to large corporates and mums and dads to those just starting out with a KiwiSaver scheme. “The new network offers an holistic advice solution to clients rather than focussing on one product, service or demographic type,” he said. In total, the newly restructured Milestone Financial has a total of eight Discretionary Investment Management Services (DIMS) licencees.